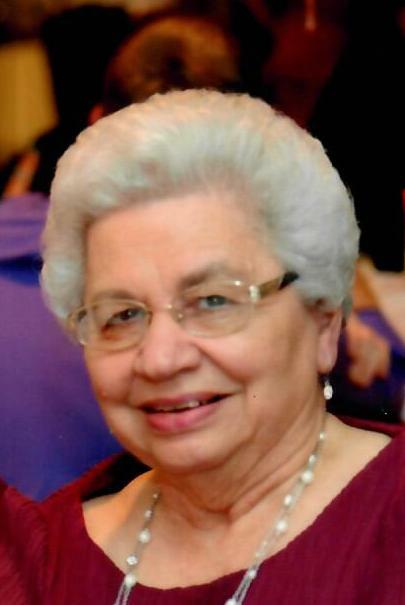 Obituary for Elizabeth "Betty" (Garvis) Sulosky | Meek & Dalla Valle Funeral Home, Inc.
Sulosky, Elizabeth “Betty,” 83, Windber, died February 4, 2019 at home. Born April 13, 1935 in Vintondale. Daughter of the late Joseph and Anna (Totin) Garvis. Preceded in death by husband William P. Sulosky, Sr., grandparents Andy and Anna Totin, brother Bobby Garvis, brothers-in-law Raul Gonzalez and Ed Stevens, sisters-in-law Jean Garvis and Helen Sulosky, aunt Mary Totin and uncle James Totin. Survived by sons William P. Sulosky, Jr., married to the former Patty Rizzo, Davidsville and David, married to the former Chris Kermin, Windber. Grandmother to Carrie, married to David Weaver, Johnstown, Jennifer, married to Jared Kenda, Windber, James Sulosky, Richland, and Steven Sulosky, married to the former Maria Montini, Latrobe. Cherished great-grandchildren, who were the light of her life, Samantha and David Kenda. Also survived by devoted loving sister Dorothy (Garvis) Gonzalez, brothers George Garvis and Edward Garvis and wife Barbara, devoted sister-in-law Joan Stevens, brothers-in-law James Sulosky and wife Diane, John Sulosky, Robert Sulosky and Alice, sister-in-law Norma Ickes, nieces Kathi Gonzalez and Karen Brezik and husband Ron and many more special nieces and nephews. Member St. Thomas Lutheran Church, Hooversville. Betty retired from Riverside and Bilo Markets in Windber, after 34 years of service. She loved spending time with her great-grandchildren and spoiling them. She loved to bake, especially her famous Paska bread, which she gave to all her family and friends. Her favorite past time was going to Rocky Gap with her son David and his wife Chris. She also enjoyed playing her lottery at Chester’s Flower Shop and visiting with her friends there. The family will receive friends from 4 to 8 pm Thursday and from 10 to 10:45 am Friday at Meek & Dalla Valle Funeral Home Inc., Windber. Funeral will be held at 11 am Friday at St. Thomas Lutheran Church, Hooversville. Pastor Nila Cogan, officiating. Interment church cemetery. Memorial contributions may be made to St. Thomas Lutheran Church or Windber Hospice in Betty’s memory.